We are the first independent school homebuyers to use Landed down payment support. We are a family of five – our 17-year-old son Jackson is a senior and will soon be off to college. We also have a 13-year-old daughter, Ella, a 7-year-old daughter, Sallie, and two Golden Retrievers – Hazel and Henderson. We are both lifelong educators. We met at a school in Alameda where we both worked and taught for several years before moving overseas to work at international schools. We spent fifteen years teaching and leading international schools in Morocco, Lithuania, and Costa Rica before moving back to the Bay Area in 2014. When we decided to move “home” to the Bay Area, my son was in 8th grade. We wanted him to attend high school in the U.S. in preparation for attending college in the States. We also missed living near family and some of our family members were increasingly in need of our help. We “landed” in Los Altos where I am currently a middle school principal at Pinewood School. 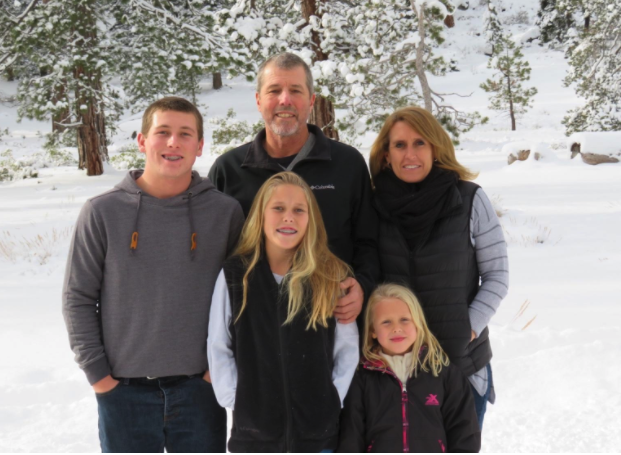 Jeff currently teaches at Palo Alto High School – he teaches students who are at risk for failing out of school due to behavior, emotional issues, or destructive family circumstances. Upon returning home, we quickly realized how difficult it would be to remain in the area due to home prices that were out of reach for us. We were frustrated because we both really loved our jobs and enjoyed living near family again, but knew that inevitably we would have to move as the $4,500/month rent we were paying was not sustainable long term. Additionally, paying this amount per month in rent did not allow us to put aside enough to make a dent in saving for a down payment. Scott Riches, the president of Pinewood School, came to me in the summer of last year and told me about Landed. He asked me if this would be something that myself and others at our school would find valuable. At the time, we had written off buying anything in this area because it seemed like an insurmountable task. When we calculated how long it could take to save even 10% for a down payment, we decided that it was impossible and had begun talking about moving to an area where we could afford to buy a home and live more comfortably. I told Scott that as soon as my son graduated high school we would move because it seemed silly at our ages to continue renting and not putting equity into a home. Then members of the Landed team came to do an information session at my school in October. After learning more about the program and discussing it, we decided to work with Landed to try and purchase a home in the area. Landed was the catalyst for us to stay in the area. I had heard from family and friends how stressful the home buying process is in this area, and was pleasantly surprised by what an easy and stress free process it was working with Landed. Landed’s homebuyer team and our agent were responsive and available throughout the process. 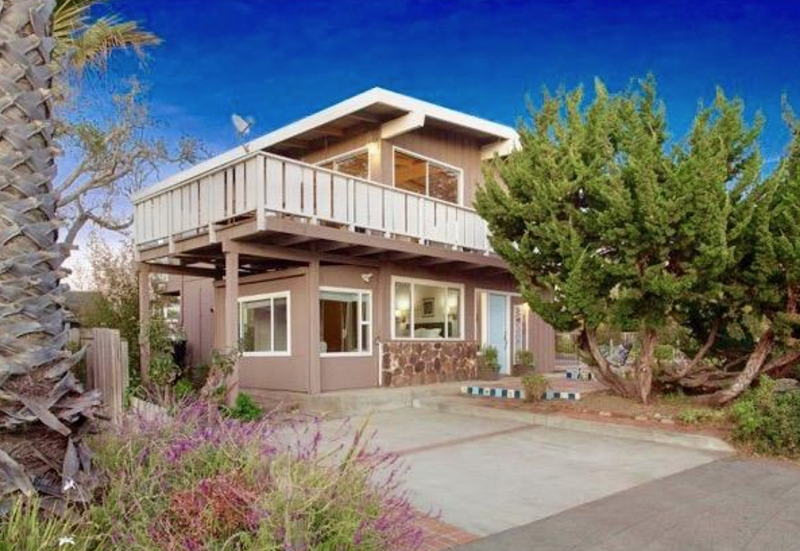 After making a few offers, we finally had one accepted on a home in Aptos, south of where our schools are located. The home is a place that is big enough for our family and we love being near the ocean. The commute has been a great opportunity to connect and spend time as a family, something hard to come by with two teenagers. With a “no phone in the car” rule in place, it allows us to talk or listen to audiobooks. I am thankful for both Landed for providing the service and support, and Pinewood for prioritizing keeping quality, committed educators and for both Landed and Pinewood being willing to think outside of the box in order to make this happen. I really feel that more schools should and will need to follow suit in order to combat what is happening in this area economically. Without these programs, more and more educators will certainly leave Silicon Valley, leaving us with a huge challenge - a community of highly educated workers - especially in the field of technology - with nobody to educate their children. For us, Landed was the tipping point to being able stay in jobs that we love, in a community where our kids have friends, and to not have to think about starting over. It was the catalyst for us staying, we would not have stayed if it wasn’t for Landed.